Jeddah a beautiful port city on the shores of the red sea is naturally blessed with beautiful beaches for the people of the Gulf region to enjoy in the hot scorching sun. This summer plan a visit to the best beaches of Jeddah to make your summers memorable and cool. 1-Al-Saif Beach: Al-Saif Beach is the coolest beach opened to the public since 2015 and the crowd swarmed to it with no hesitation. It is considered one of the favorite hangout spots. Here you will see the beauty of sand and sea in front of you behind you lie palm trees and grass with the most pleasing weather and breezing sun. A place to experience a beautiful sunset like no other place in Jeddah. It is a great place for swimming and gets together but it doesn’t offer any swimming spot. 2-South Corniche Beach: This beautiful sandy beach is located around 45 kilometers south of Jeddah city next to King Faisal Airfield. It is always left unexplored because as soon as the holidays approach near every one head to Jeddah’s north leaving this beauty aside. If you are in a mood of swimming and fishing so move toward South Corniche, simply the best place to visit. You will also witness beautiful flamingos chilling there. Besides this, the weather of this place is quite chilling and soothing with the gusty wind blowing with strong currents over the sea. 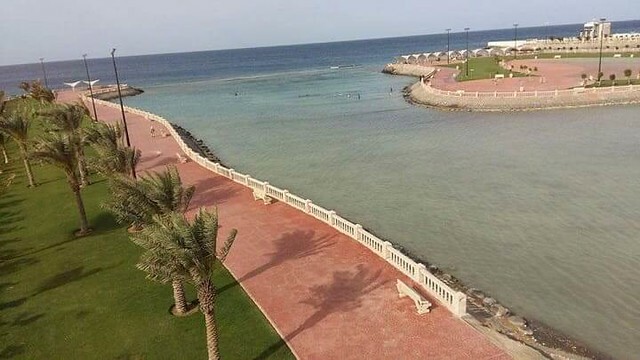 3-South Obhur: South Obhur is another beauty of the southern region of Jeddah with a free beach to make your holidays memorable and unforgettable. Beside this, it is among the most favorite spot among the public of Jeddah. Here you can watch pleasant tides and crash with the rocks barriers. You can enjoy the beach as well at the same time you will not be far away from the city. 4-Khaleej Salman: Khaleej Salman is a beautiful beach away from the city. 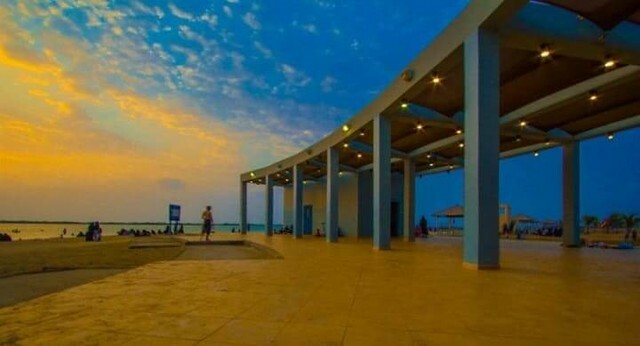 This beach is popular among the single men of Jeddah because families are not seen at this spot. Single men often visit this beautiful and peaceful place and spend some time probably during night time, admiring the night sky under the makeshift tents. 5-Thuwal Beach: Thuwal beach is located almost 80 kilometers away from Jeddah toward the northern region and has an amazing harbor, this beach is also famous for having one of the largest seaside mosques. A perfect place to spend your weekends with your family. The water near the shore is very low and kids can easily enjoy swimming and play in the water. It is a perfect visiting place where your kids can have fun and you can relax. 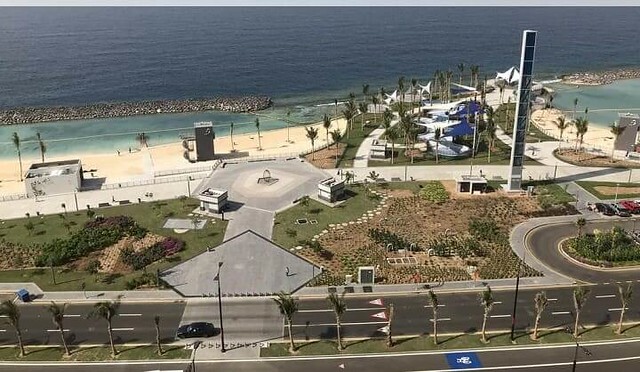 6-Dhaban Marine park: This is located in the town of Dhaban nearly 40 kilometers north to Jeddah. It is really a nice place where your kids will really enjoy their day. It is filled with greenery and many playground equipment for the kids. There is a beach near it and a perfect place to relax yourself during a weekend and watch the beautiful scenery of sun disappearing into the red sea during sunset.